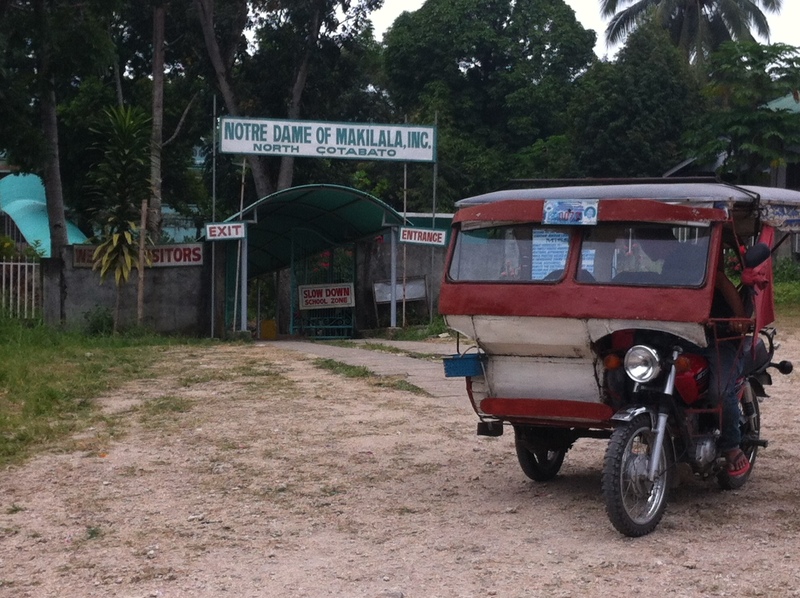 The last couple of days the team remained divided between northern and southern Philippines. Team A visited cooperative societies and clusters of farmers organized by CRS and their local NGO partners, and logged lots of hours on the road. Team B interviewed a private rice trader and consolidator, a cooperative bank that provides microfinancing for farmers, Nestle’s coffee purchasing department, a group of farmers from the greater Cagayan de Oro area, and an organization that organizes farmers to connect vegetable farmers to institutional buyers. 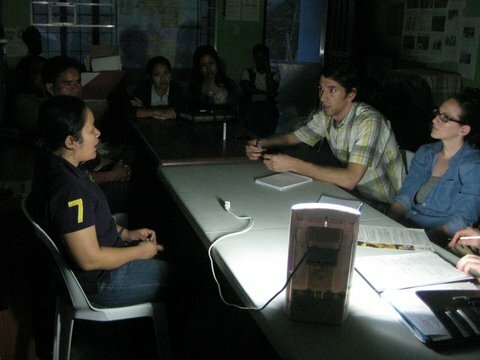 The teams have been hearing near consensus on what some of the problems are for small farmers in the Philippines. When farmers do not have access to formal financial institutions, they are forced to borrow at astronomical interest rates from local, informal lenders, trapping farmers in a cycle of poverty. We’ve seen and heard many examples of farmers organizing themselves, with the assistance of NGO and government programs, and in doing so, circumventing the trader by connecting directly with the market. The coming days will involve more meetings and interviews and the team will start putting together our information to work on our recommendations. Tomorrow the team is taking a day off and we’ll be exploring a volcano outside of Manila and enjoying some much needed relaxation. Yes, we’re still eating lots of good fruit. Half of the team continued to explore Mindanao today, traveling from Kidapawan in central Mindanao to Malaybalay in central northern Mindanao. The team had three interviews today, all of which centered on cacao production. We met with Puentespina Farms, where they are growing 24 hectares (~59 acres) of cacao trees. In addition to their own farming, the farm has collaborated with a development project of Mars to provide technical training to new cacao farmers or for farmers seeking to rehabilitate their existing cacao trees. The area surrounding Puentespina used to be a major cacao region for several multinational corporations but political changes in the 1980s caused many corporations to cease operations; however, many of the trees remained and some farmers have sought improved productivity for their cacao trees. At Puentespina we saw cacao trees, stations for breaking open cacao pods, fermenting boxes, and drying beds; in other words, all of the stages necessary to prepare dry cacao beans. 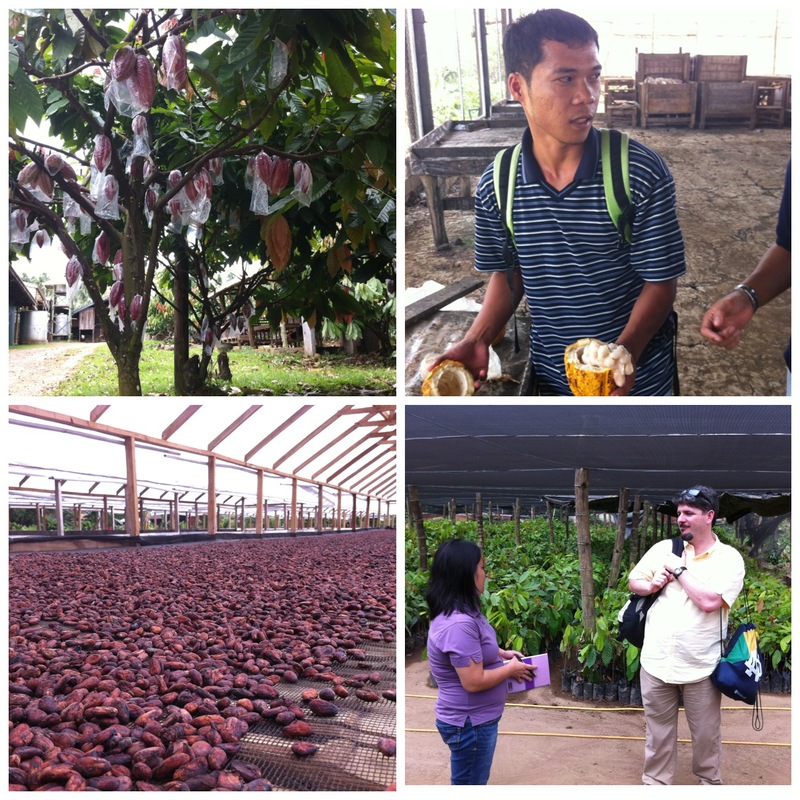 Clockwise from upper left: Cacao pods are covered in plastic to repel insects, a cacao technician shows us the wet beans inside a cacao pod, cacao solar-drying beds, Mike Kinsella (MBA) speaks with a rep. from Kennemer Foods in front of cacao seedlings. 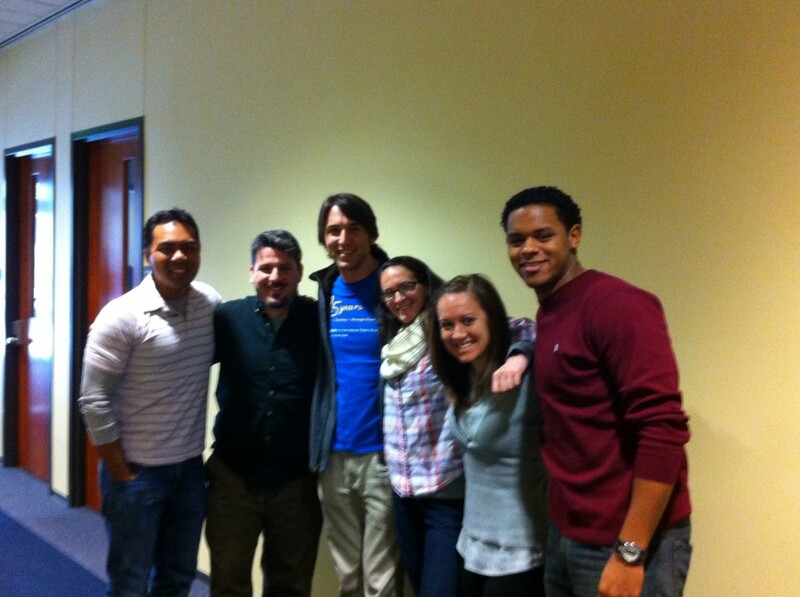 Later we met with Kennemer Foods, a consolidator of cacao. 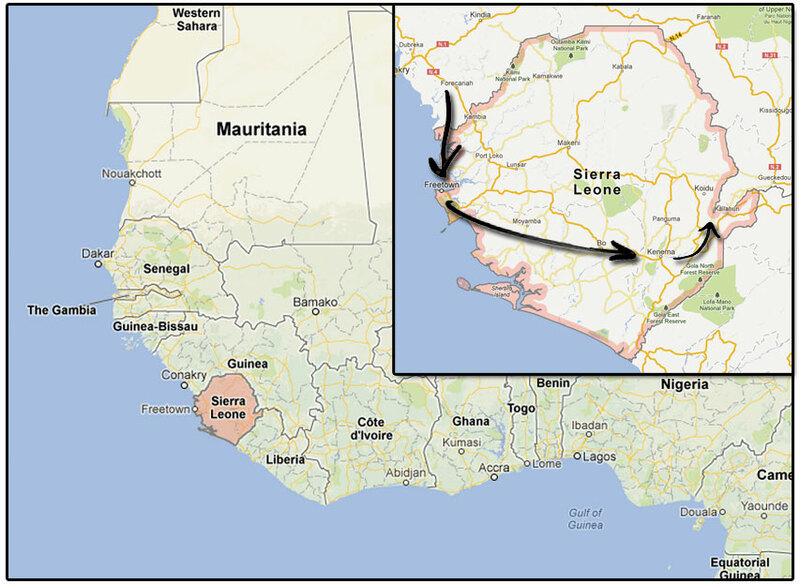 Kennemer purchases wet cacao beans from local farmers and then ferments and dries the beans. In addition to the post-harvest production, Kennemer also provides farmers with cacao seedlings to encourage the proliferation of cacao. They send technicians out to new cacao farms and encourage farmers to sell their product back to Kennemer when the trees begin to bear fruit. Finally, we visited a business venture associated with a coffee cooperative in Bukidnon province. Kaanib Foundation, a partner of CRS, has organized a group of 1,000 women to provide coffee for a storefront that is brewing a blend of Robusta and Arabica beans. Most of the domestic coffee market in the Philippines is comprised of instant coffee. However, this specific venture buys green coffee from their members, roasts the coffee in their storefront (with a roaster than was granted by the national government), and sells cups of brewed coffee as well as packages of ground coffee. The business is growing and adapting, trying to find a niche in the instant coffee-dominated market. We also carved out some time to stop by a community where humans and monkeys live in harmony. No really, a bunch of monkeys live in the house of the community leader. 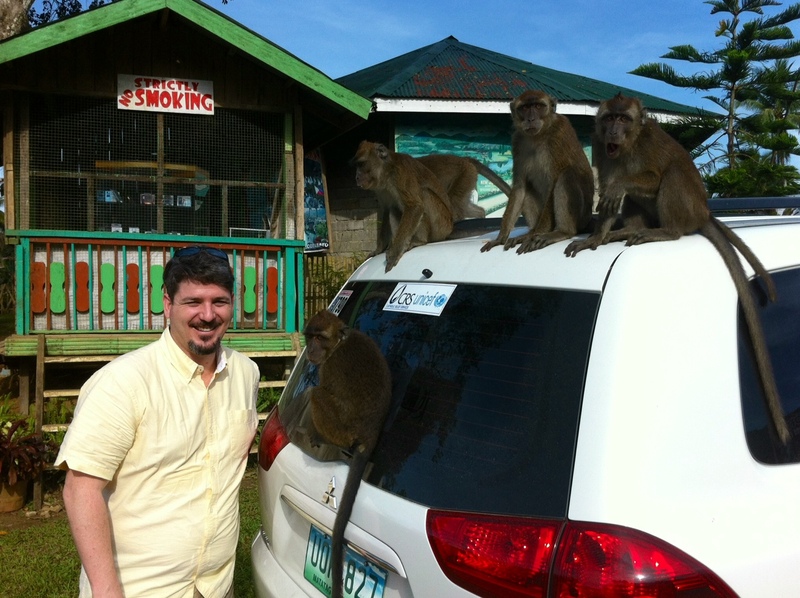 Mike Kinsella (MBA) poses beside the monkeys that have taken over the CRS vehicle. The rest of the team was in Luzon today and their adventures and learnings will be posted to the blog in the days to come. 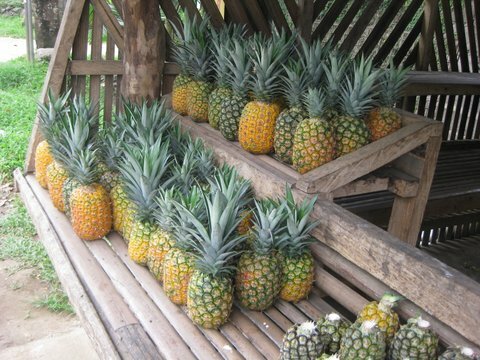 We should start of with the good stuff, we ate some seriously good fruit today. 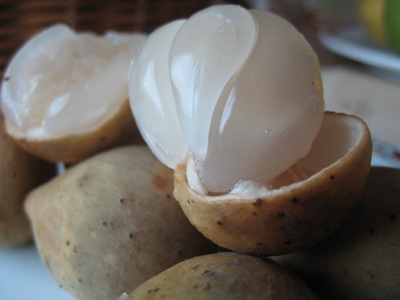 Driving through central Mindanao, we stopped at a roadstand to buy Filipino mangoes and a local lychee-esque fruit called lanzones. The Filipino mangoes were literally as soft as butter, we scooped out spoonfuls of mango with ease. The lanzones were spectacular, but don’t eat the seed, it’s sort of bitter. Team A met with Land Bank of the Philippines, a key agricultural lender, and a onion-growing cooperative in Nueva Ecija, in central Luzon. Team B met with a microfinance cooperative that provides funds for women-led enterprises, and an NGO that provides education and training for farmers to add value to their crops and to increase their yields. Temporary power outage forced us to pull out the battery-powered lights. A common form of transport, the tricycle, sits in the foreground. Still recovering from jetlag, most of Team Philippines awoke in the wee hours of the morning and either stared at the ceiling for a few hours, sat down for a lengthy breakfast, or got in a workout. At 8am we split into two groups: one group, with Professor Alford (professor of law) and Mauri Miller (law student) went to meet with CRS’ lawyer to inquire about the legal situation for cooperatives in the Philippines. We learned that contracts are quite enforceable through legal mechanisms in the Philippines. 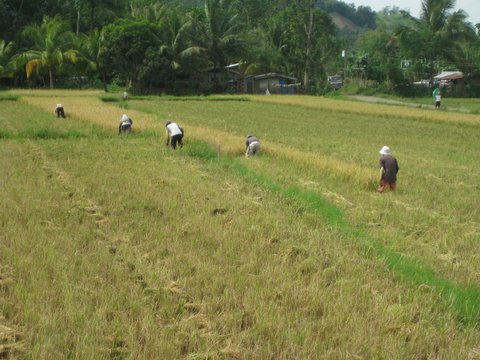 Many institutional buyers that reach out to small farmers, such as Nestle and Jollibee (a national burger joint), enter into contracts with the suppliers of their goods, even if they are small cooperatives. This requires that cooperatives themselves are recognized legal entities, as opposed to an informal, legally-unrecognized group of farmers. While Team A (Professor Alford, Mauri, Robbie, Krissy) met with the CRS lawyer, Team B (Dana, Sam, Mike) met with a branch of the Department of Agriculture called the Bureau of Agrarian Reform Beneficiary Development. This governmental bureau aims to provide services to the beneficiaries of land reform: those who have received land titles or are leasing new lands as a result of government (re)distribution of land. The bureau is involved in various projects, the most exciting of which for the team was a de-centralized model of microfinancing for small farmers and cooperatives which has successfully overcome many of the barriers that inhibits lending to small farmers. Team A and Team B joined forces again in the afternoon, creating Team Awesome (aka Team Philippines), and we met with the National Livelihood Development Council (NLDC). NLDC is a government-owned social lending corporation that provides funding to rurally-based microfinance institutions and specifically aims to provide services to the beneficiaries of agrarian reform. After a full day of meetings, we killed some time at the Mall of Asia, a huge, huge mall, where we bought local SIM cards, played (super cheap!) arcades, and dreamed of getting massages. Team A then headed back to our home base in Manila, and Team B boarded a flight for Davao City. Team A will spend the rest of the week meeting with CRS’ NGO partners, cooperatives, government entities, and financing institutions in the northern island of Luzon. Team B will meet with a similar group of stakeholders in Mindanao, the southernmost island in the Philippines. We arrived to the Philippines in two groups, the majority of the group arriving late Saturday night and the remainer of the team arrived late Sunday night. Sunday was spent exploring Manila. We ventured out on foot and explored Rizal Park, a large public park in the center of Manila, and Intramuros, the oldest district and the historic center of Manila. 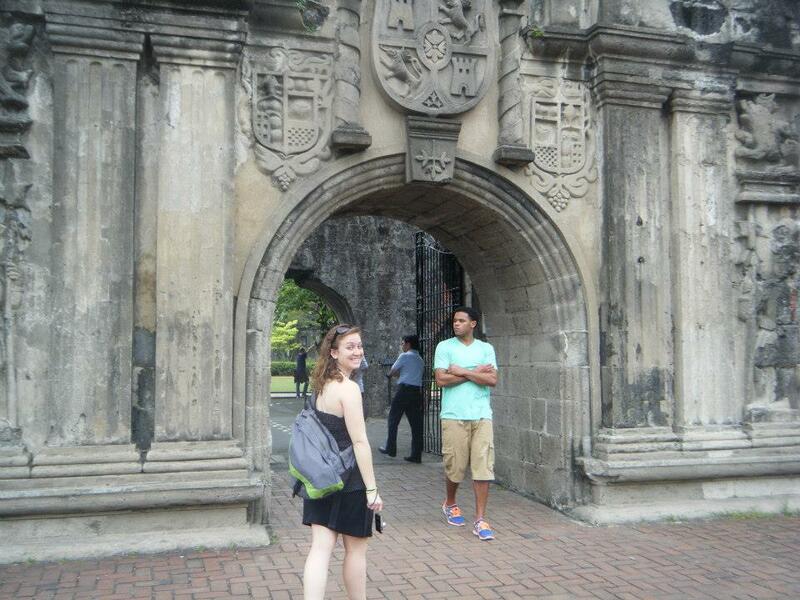 Krissy and Mauri outside of Fort Santiago, a historic site in Manila. We took a break from exploring the city on foot by sitting down for some cold juices and desserts. 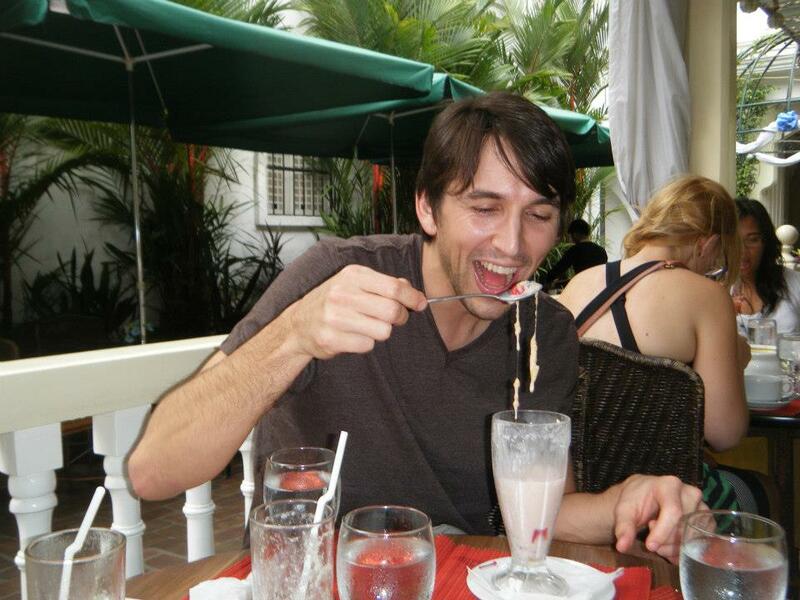 Sam ended up trying Halo-Halo, a popular Filipino dessert, which made everyone jealous until he found unknown surprises in the bottom of the glass. Sam eating Halo-Halo, a popular Filipino dessert, and discovering yams(? ), gelatin, and cooked beans. 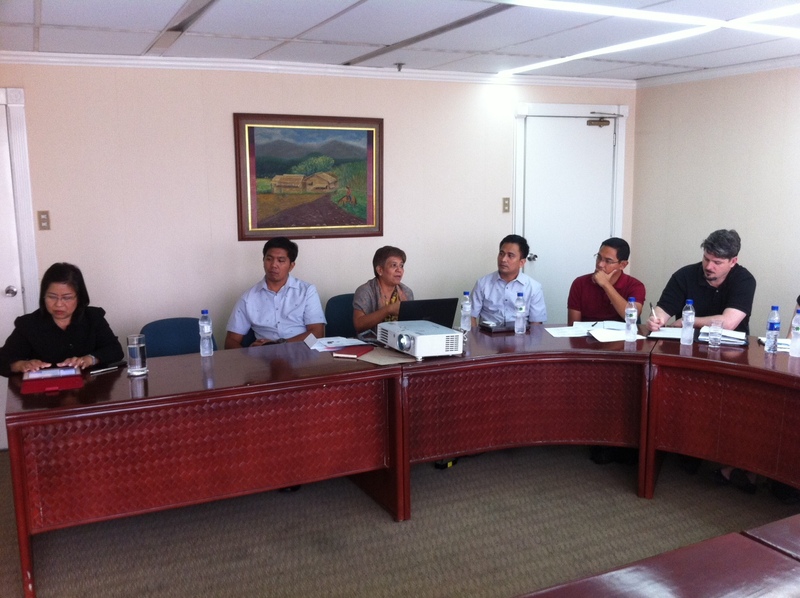 On Monday, with the full Philippines team in Manila, we headed to the CRS offices for orientation. 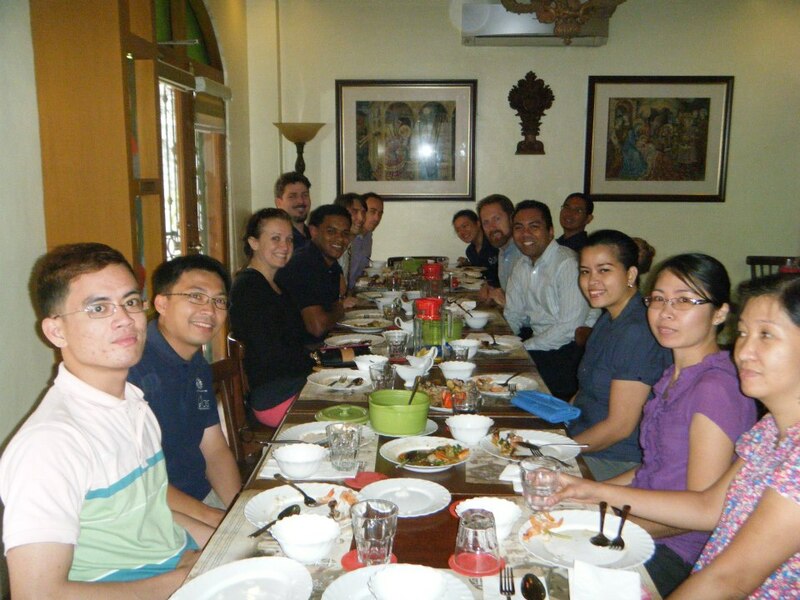 The CRS staff in Manila provided us with a thorough introduction of the Philippines and CRS’ work in the Philippines, with an emphasis on CRS’ agriculture program. As our project seeks to address the barriers to financing for rural farmers in the Philippines, we asked many questions of the CRS staff, trying to get a better sense of the scope of their current work. Day 1 lunch with CRS Manila staff. After having a lunch for the CRS Manila staff, we headed to a meeting with PinoyME and the Peace and Equity Foundation, two organizations that provide funding for social enterprises. Both organizations have sought to address the needs of poor, rural farmers and have investigated the barriers to financial lending for small farmers. Representatives from both organizations provided a great deal of insight and information on the status of agricultural microfinance in the country and the barriers that must be circumvented to secure and enhance the the livelihoods of poor farmers. Team Philippines meets with PinoyME president and CEO, Danilo Songco, and Peace and Equity Foundation chair of the board, Reverand Ledesma, Archbishop of Cagayan de Oro, Philippines.